Of particular interest to Australia is Moeldoko’s background, which is free from incidents of human rights abuse. As such, he’ll set a credible example in military professionalism and soldier discipline. There’s only been one minor controversy so far. There have been allegations that in March 2011, soldiers under Moeldoko’s command at the time were involved in encouraging Muslims to occupy Ahmadiyah Muslim mosques (a minority sect of Islam that is unpopular with many Indonesian Muslim groups) to teach Ahmadis the ‘true path’ of Islam. Despite Moeldoko having reportedly expressed some support for the activities, on 20 August, a Human Rights Commission found no evidence to support his direct involvement in that operation. As all incoming military and police chiefs undergo a human rights background check (called a fit-and-proper test), a positive finding would have jeopardise his chances of getting the top job. With regards to military culture, Moeldoko wants soldiers to remain humble with civilians. And while he admits it might take some time to achieve this, he intends to make changes to the training and education to address what he calls ‘software bugs’ such as a culture of violence and impunity. 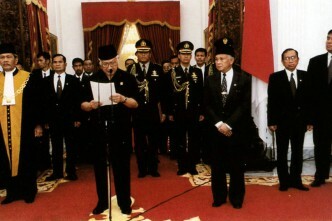 Also important has been Moeldoko’s merit-based appointment. It reflects recognition by the country’s political leadership that TNI needs smart and professional officers. Moeldoko is President SBY’s nomination, but suggestions of nepotism are less tenable in this case: he’s well-known as an ‘ideas man’ and enjoys support from other political figures including the deputy head of the House of Representatives. This contrasts with the appointment of President SBY’s brother-in-law, General Pramono Edhie Wibowo, as the former Chief of Army, which drew speculation of favouritism. TNI has come a long way (and still has some way to go) but if it’s to continue relations with foreign militaries and continue professionalising, it needs strong leadership. The only thing to watch is Moeldoko’s request that TNI have a greater role in national security matters like ‘terrorism and communal conflicts’. 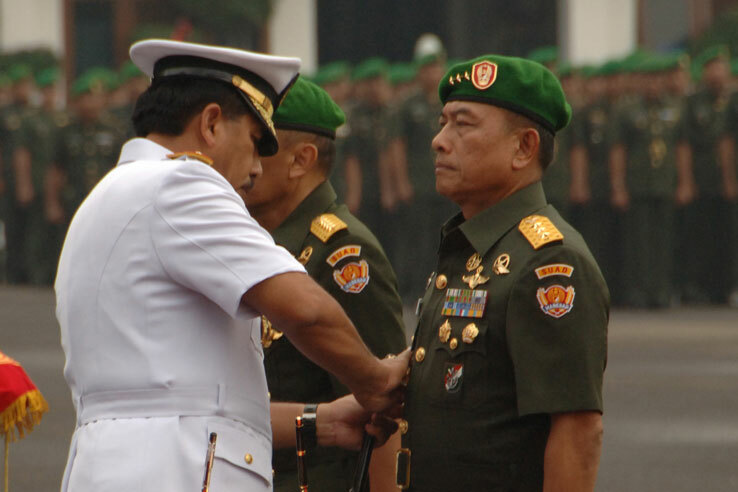 Advocating a greater role for TNI in domestic matters is a means of increasing its prominence and demanding more resources. But as Indonesian defence analyst Iis Gindarsah has stated, the military should stay out of domestic issues and concentrate on external threats because it’s really the purview of the police. The fact that Moeldoko is requesting this role is also a reflection of the poor job the Indonesian police are doing. The Cebongan incident in March is a case in point. Kopassus soldiers shot and killed four prisoners in Cebongan prison in Yogyakarta while in police custody. Rather than being condemned for vigilante action, the soldiers were praised by Yogyakarta citizens for ridding the city of gangsters, a task in which the police was seen to have failed. Rather than playing into this, it’d be far better for Moeldoko to rise above this competition so both Indonesia’s police and military can focus on their own challenges. The appointment of a new police chief later this year will provide some idea about the future effectiveness of Indonesia’s civil forces. Overall, Moeldoko will be good for TNI–ADF relations and for Australia. His commitment to professionalism and soldier welfare make him a positive figure and role model of a post-reformasi TNI. Moeldoko’s current counterpart, Australia’s Chief of Army Lieutenant General David Morrison, is also committed to improving military professional culture—which suggests some natural complementarity in future ADF cooperation with Indonesia’s forces. Despite occasional incidents like the Cebongan case that impair TNI’s image, Moeldoko seems quite serious about its future. 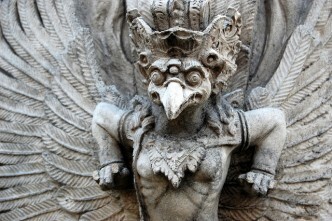 A more professional TNI is always going to be more palatable for the broader Australian polity in Australia–Indonesia relations. And perhaps figures like General Moeldoko can help shift outdated Australian perceptions of TNI in the process. Natalie Sambhi is an analyst at ASPI and editor of The Strategist. Image courtesy of Tentara Nasional Indonesia.